Ray Hanania on Politics analyzes the media bias in the coverage of the release of the Report on Alleged Collusion with Russian by Donald Trump prior to and after his election as President. The Mueller Report was completed after a staggering 22-month long investigation by Special Counsel Robert Mueller that resulted in a finding that there is no evidence to support the allegations that have been made against the President. Podcast host Ray Hanania discusses the real problem and how national mainstream American news media bias is empowering President Trump and ensuring his re-election in 2020. 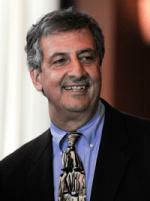 For more information on Ray Hanania's podcast visit www.RayHananiaonPolitics.com or go to www.Hanania.com to get information on all of Ray Hanania's award-winning columns and writings. 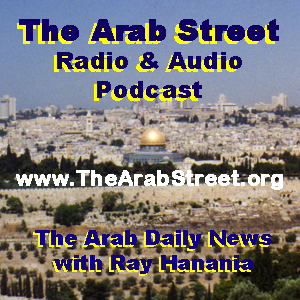 This is the Ray Hanania The Arab Street Podcast, Middle East and Mainstream March 25, 2019. Our guest online with us is Richard Silverstein, a longtime Jewish American progressive. Richard and I talk about the AIPAC Conference in Washington D.C. this week, the absurdity of calling Minnesota Congresswoman Ihlan Omar "anti-Semitic" for criticizing congressmen who put Israel's interests above American interests, and criticizing Israel PAC stranglehold on American politics. Richard's website is RichardSilverstein.com for more information and links to his Op-Ed writings and interviews. You can get more information on this podcast at TheArabStreet.org and on my personal website where all my columns and podcasts are archived at Hanania.com. 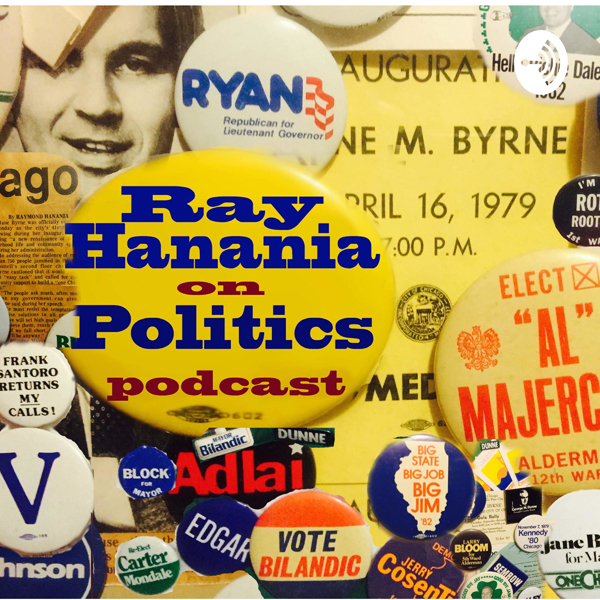 Also check out my new podcast Ray Hanania on Politics which looks at political issues and news in America, nationally, regionally and locally in Chicagoland at RayHananiaOnPolitics.com All of Ray Hanania's podcast shows are available on iTunes. We discuss AIPAC, the American Israel Public Affairs Committee, PAC contributions to American Congress members and U.S. Senators and the influence the money buys, the weaponizing of anti-Semitism to silence critics of Israel's rightwing government policies, Congresswoman Ihlan Omar, the recent missile strike against Israel, Israel's use of violence to influence election results, and the power of Arab Israeli voters, and the power of the news media. Why doesn't an Arab country or Arab Americans buy an American newspaper like the Washington Post and force it to be objective when it comes to discussions about the Middle East, Israel and Palestine? Richard Silverstein also discussions his ongoing battles with Twitter over his use of words they feel should be censored. Former Chicago City Hall reporter Ray Hanania endorses Toni Preckwinkle for Mayor of Chicago over Lori Lightfoot in the April 2, 2019 Chicago Mayoral election and he explains why in this podcast. This is Ray Hanania's Podcast, Slice of Life, which explores every issue under the sun, from mainstream to the Middle East, politics, everyday life, society and more with hard hitting opinions and insight and even humor. In this episode of Ray Hanania's Podcast, Ray explains why he is supporting Toni Preckwinkle for Mayor of the City of Chicago in the April 2, 2019 general election. Hanania has been a supporter and a critic of Preckwinkle's policies but explains that politics isn't about who is great. It is about a personal consensus with candidates and a relative comparison of candidates. Who is better and who is worse. Ray Hanania's podcast includes broadcasts of his radio shows in Detroit on WNZK AM 690 and his podcast audio commentaries. In this Podcast commentary, Ray Hanania explains the problem with Tucker Carlson, the FOX News host, and Judge Jeanine Pirro, the racist FOX TV host. Both have made derogatory comments about Arabs and Muslims, in defense of Israel, of course. Carlson is in a war with Media Matters for America, a leftwing media monitoring opinion group that trashes all conservatives. They monitor rightwing shows and then showcase the worst of those shows to strengthen their edge over their conservative rivals. The important issue for Arabs and Muslims to understand is that neither the Left nor the Right, the Democrats nor the Republicans really care about the issues that they throw at each other. They don’t care about racism against Muslims or Arabs. What they care about is the politics of using racism against Arabs and Muslims as a weapon to use against their rivals in this Right versus Left political war. The Republicans are using Arabs and Muslims and so are the Democrats. Now, you don’t call people “monkeys.” And the Left is jumping all over the comment using it to pressure Carlson off of TV by targeting his advertisers and some of his advertisers are abandoning his show. But don’t think they care about Iraqis. Democrats, the Left are as bad about Arabs and Muslims as are Republicans and the Rights. They hate us. But, if Carlson should apologize, Arabs and Muslims should accept the apology. If Carlson can step out from the center of this demonization war in which racism and misogyny are weaponized to assault their political rivals, we should accept that apology. But in the heat of this war, Carlson is doubling down and refusing to apologize to the Left. Don’t apologize to the Left. Apologize to the Iraqis and to Arabs and Muslims. As a Christian Arab, we accept apologies that are sincere and genuine. Lots of topics this morning … first my columns in the Arab News newspaper in Saudi Arabia about Israel’s April 9 elections, Netanyahu is stoking the flames of racism to boost up his voter support, banning Arab Israeli parties and attacking Israel's Arab citizens … and in Middle East Monitor in London where I profile US Arab Radio host Laila Alhusini who is building an Arab American Media Empire. We explore Laila's background and her work to strengthen the Arab Voice in America through her growing media empire. We’ll also be talking about issues in the news including Tucker Carlson who is in a battle with Media Monitors of America where a researcher there dug up information from an interview Carlson did back in 2008 on the shock jock radio show of Bubba the Love Sponge in which Carlson called all Iraqis -- Christian, Muslim, Arab, Chaldean -- “semi-illiterate monkeys” ... we have reached out to Carlson to talk to him. Arabs are forgiving people and we accept apologies (even if a bunch of fanatics in Palos Township refuse to accept the apology of Sharon Brannigan for making some insensitive comments about Middle Eastern people several years ago during a posting about Immigration concerns on her Facebook Page. Extremists don't accept apologies. Good people accept apologies. We’ll also be talking about the racist comments against Minnesota Congresswoman Ihlan Omar by FOX News anchor Jeanine Ferris Pirro who is a Lebanese American Phalangist racist who claimed on FOX News that Omar is trying to bring Sharia Law to America because she wears the Hijab. Pirro also called Omar anti-Semitic because Omar brought up legitimate issues involving dual loyalty by supporters of Israel who put Israel's interest above the interests of America, and because Omar also criticizes the Israeli PACs that are buying congressional votes with millions in PAC donations. And, we’ll also talk about the tragic terrorist violence against two mosques in New Zealand where 49 worshipers were murdered by at least one terrorist gunman who is now in custody. In this week's podcast, Ray Hanania discusses his Mainstream and Middle East columns in the Regional News, the Des Plaines Valley News, the Southwest News-Herald, the Reporter Newspapers, and SuburbanChicagoland.com, and also in the Arab News in Saudi Arabia and Middle East Monitor online in London. The discussion summarizes the columns that are published in the mainstream and Middle East newspapers and also posted online at www.Hanania.com where you can read them. The Mainstream topics include how Chicago's politicians are trying to force the suburbs to pay for the city's wasteful government spending and financial shortfalls. The column explores how many of the candidates for Chicago Mayor included platforms calling for the taxation of the suburbs in some form to off-set Chicago's huge deficits. The Middle East topics address the hypocrisy of the attacks against Minnesota Congresswoman Ihlan Omar by Democrats and Republicans because of her criticism of Israel's government and the pro-Israel PACS (Political Action Committees) that buy influence in Congress through millions of dollars in donations each year. Omar is absolutely correct. Israel's government through its pro-Israel PACs in the United States have the U.S. Congress in a Headlock. They also have a huge influence over the biased anti-Arab mainstream American News Media. Sadly most Americans don't even know the truth about what is happening in the Middle East. Ray Hanania talks in this podcast about the twisted failed media coverage of the Israeli killings of protestors in the Gaza Strip. For more information on Ray Hanania's Podcast, you can look him up on iTunes or visit www.Hanania.com where you can link to and download his podcasts, and also link to and read his opinion columns published each week in the Mainstream News Media and in the Middle East newspaper. Welcome to THE ARAB STREET Radio & Podcast broadcast from Chicago through WNZK AM 690 Radio in Detroit Michigan … Friday March 8, 2019. Your host is syndicated columnist at the Arab News and Middle East Monitor Ray Hanania. Our guest this morning is Don Wagner. Ordained Presbyterian minister and recently retired as the National Program Director for Friends of Sabeel -- North America, a Palestinian Christian advocacy organization. Wagner taught 15 years at North Park University, Chicago after serving 10 years as the National Director of the Palestine Human Rights Campaign. Don Wagner and Ray Hanania discuss the weaponizing of anti-Semitism by critics seeking to silence Minnesota Congresswoman Ihlan Omar and Rashida Tlaib, the struggle for justice in Bil'in in the Israeli Occupied West Bank and activist Iyad Burnat, and the anti-Christian aspects of so-called "Christian Zionism." Christian Zionism is a very unChristian movement that violates the fundamentals of Christianity for extremist political gain. You can read more on Iyad Burnat, Bil'in and on Congresswoman Ihlan Omar in Ray Hanania's columns this week in the Arab News and at Middle East Monitor. This is the Ray Hanania Podcast a weekly overview of all my opinion columns, my radio interviews, and my reports on Middle East topics and on Mainstream American politics. Ray Hanania’s Podcast (The Arab Street, The Arab Daily News) interviews Iyad Burnat who has since 2005 led Palestinian protests against the Apartheid Wall built by Israel in the Occupied West Bank and Israel’s confiscation of Christian and Muslim lands. Burnat sits down with me to talk about the violence against him and his children by the Israeli soldiers. He details how Israel has manufactured accusations accusing him and his children of engaging in violence. Burnat is in America this week meeting with Palestinian leaders asking them to help him build an educational fund for the children of Bil’in in the Occupied West Bank so they can continue their education. Burnat has set up one fund for his son Majd, a soccer player who Israeli snipers intentionally seriously disabled when they shot him in the knee while he was watching Israeli protests with three of his friends. My Middle East columns are published in the Arab News Newspaper, the Middle East Monitor online, and the Arab Daily News online. My mainstream columns are published at SuburbanChicagoland.com and in seven newspapers in the Southwest region of Chicagoland including The Regional News, The Reporter, the Des Plaines Valley News, and the Southwest News-Herald. I hope you sit back and enjoy this latest podcast post. Click here to read my Arab News Column on Iyad Burnat and the hypocrisy of American politics and mainstream news media by clicking here. Click here to read my Middle East Monitor column on Iyad Burnat and the continuing persecution of Congresswoman Ihlan Omar by racist pro-Israel congressmen and biased mainstream news media. Majd Burnat is a 20 year old Palestinian student who is starting his civil engineering education at Iden Univeristy in Istanbul, Turkey. Majd was born and raised in Bilin, a farming village that has been isolated from its agricultural lands by the illegal apartheid wall in occupied Palestine. Residents of Bilin and activists who visit from around the world gather in a non-violent protest at the apartheid wall every Friday. At at the age of 15, Majd joined the weekly demonstration and was met with both tear gas canisters and live bullets intentionally aimed at the crowd by Israeli soldiers. While attempting to flee, he fell victim to live bullets with a shots fired multiple times into his leg. As a result of this injury, Majd has undergone countless surgeries and still suffers severe pain and limited use of his leg. Despite hardship from a young age, he continues to dream of a better life. He hopes to use his education to better the life of fellow Palestinians by improving the infrastructure of a land demolished by years of unlawful occupation. This is the Ray Hanania Podcast for March 1, 2019, a weekly overview of all my opinion columns, my radio interviews, and my reports on Middle East topics and on Mainstream American politics. This week's topics cover columns I have written on the Jussie Smollett racism and homophobic hoax and the disgraceful lack of professionalism by ABC Good Morning America Anchor Robin Roberts; The Chicago Mayoral Elections and the aftermath of Mayor Rahm Emanuel; the award of this year's Best Actor Oscar to Egyptian American Rami Malek for his role in Bohemian Rhapsody with a remembrance of the win by Vanessa Redgrave in 1976 for the Holocaust film Julia; and the United Nations Human Rights Commission's report on Israel's war crimes in Gaza. Ray Hanania's Middle East columns are published in the Arab News Newspaper, the Middle East Monitor online, and the Arab Daily News online. His mainstream columns are published at SuburbanChicagoland.com and in seven newspapers in the Southwest region of Chicagoland including The Regional News, The Reporter, the Des Plaines Valley News, and the Southwest News-Herald. Our podcasts are archived on iTunes and at the website www.TheArabStreet.org.